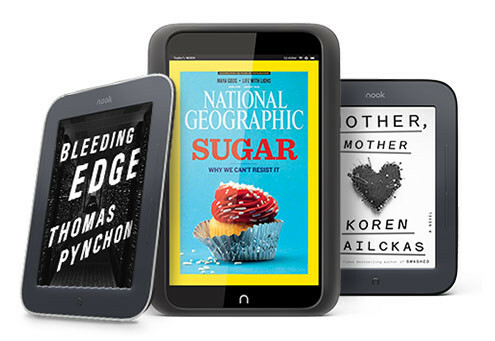 Barnes & Noble laid off its Nook hardware engineers, according to a source that tipped Business Insider. The engineers were let go last Thursday, according to our source. This follows Barnes & Noble dismissing the VP of Hardware, Bill Saperstein in January. This is far more than the handful of managers that we already knew had left Nook Media, and I'm not sure we can take it seriously. The story lacks specific details like names and job titles or even the number of people fired, so I would strongly urge you to take this with a grain of salt. For all we know, the layoffs might have only included a couple people. Also, this could simply be a distorted report on the layoff we already knew about, when Jackie Corso left the firm. At this time we don't know whether BI's report is based on any facts at all, much less whether 1 person, a dozen people, or the entire team was laid off. Until more details leak, I'm going to assume this report isn't true on any large scale. Update: And I was right. B&N has flatly denied the BI story. A Barnes & Noble representative confirmed with The Verge that job eliminations had taken place, but hardware staff in Palo Alto had not been affected. The headline has been clarified to express that fact. Update: There's an element of truth the the business Insider story. The NYTimes reports that Nook Media did have a major layoff last week, just not among the hardware team. The bookseller Barnes & Noble laid off employees in its Nook device unit on Monday, the latest sign of the company’s difficulties in executing its digital strategy. Fewer than 100 people have lost their jobs, a person briefed on the layoffs said. But never mind me; what do you think? Business Insider isn’t the most reliable of sources but it is hardly unusual for companies in the midst of a pivot to fire one class of employee to hire a different class. According to statements made by BN to The Verge, some layoffs did occur but did not affect the hardware division at all. So BI seems to have no idea what they’re talking about. The Verge got the same statement we all did. I don’t think it means anything. That seems like a pretty forceful answer that the entire BI article (that the hardware division was eliminated) is factually incorrect. That’s not what I got. Thanks.